No matter where you’re from, SAM can become your local museum—take it from Abe and Julia. 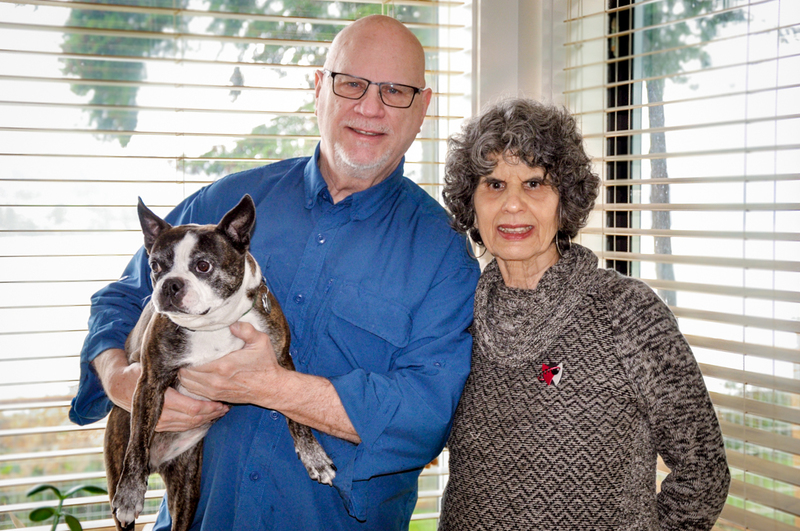 Hailing from Philly and Tennessee, their passion for Asian art got them involved with the Gardner Center for Asian Art and Ideas when they relocated to the Seattle area. They have donated to support the renovation and expansion of the Seattle Asian Art Museum and can’t wait for it to reopen later this year. Learn more about the exciting and expanded programming that the museum will be able to host thanks to the support of donors like these, and how it can connect your life to art! The importance of Seattle Asian Art Museum to the cultural history of Seattle, really to the entire Pacific Rim, cannot be overstated. Julia and I were both active as board members with the Albuquerque Museum during our time in New Mexico. Julia grew up in Philadelphia and lived in New York City and museums were a large part of her daily activities as a child and also as an adult. I grew up in rural East Tennessee where there were no museums, so we’re both acutely aware of how much value art and cultural museums can add to a community. We just knew that, on moving to Seattle, we would both get involved. After her career as an attorney in New York, Julia obtained an MFA in art history from the University of New Mexico. We’re both students of the Chinese language, which provided our initial draw to the Seattle Asian Art Museum. The highlight of my experience with the museum would have to be the privilege of volunteering with Sarah Loudon at the Gardner Center. Both Julia and I are both quite excited about the reopening of in late 2019.